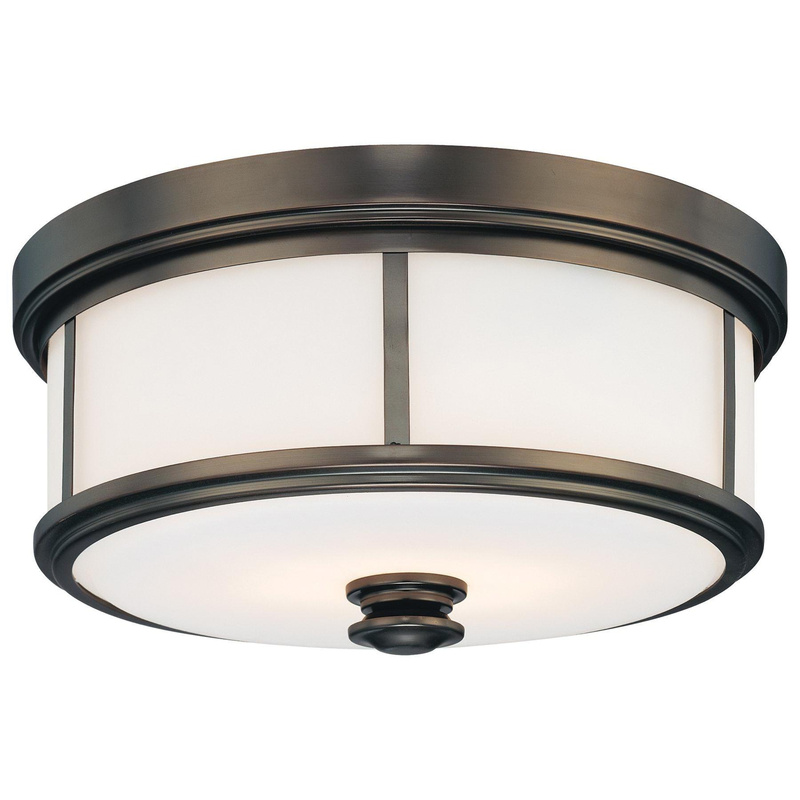 Minka-Aire Harvard Court Collection 2-Light ceiling fixture in harbour point bronze finish, features etched opal glass shade that brings elegance to the home. This traditional style fixture supports two 60-Watt A-19 lamps that have voltage rating of 120-Volts. This flush mountable fixture measures 13.5-Inch x 13.5-Inch x 6.5-Inch. It is ideal for indoor use. Fixture is UL listed for dry locations.